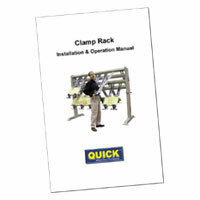 To download a PDF version of a QUICK Clamp Rack manual, please click on the image to the left. 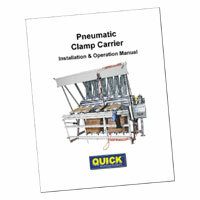 To download a PDF version of a QUICK Standard 6-Section Clamp Carrier manual, please click on the image to the left. 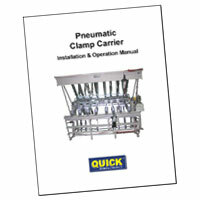 To download a PDF version of a QUICK Standard 14-Section Clamp Carrier manual, please click on the image to the left. 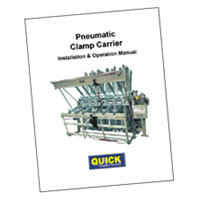 To download a PDF version of a QUICK Heavy Duty Pneumatic 6-Section Clamp Carrier manual, please click on the image to the left. 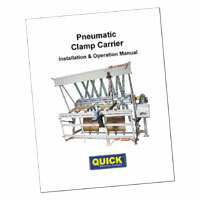 To download a PDF version of a QUICK Heavy Duty Pneumatic 14+-Section Clamp Carrier manual, please click on the image to the left. To download a PDF version of a QUICK Heavy Duty Hydraulic 14+-Section Clamp Carrier manual, please click on the image to the left. 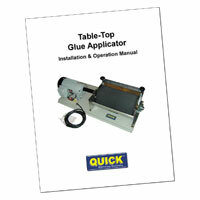 To download a PDF version of a QUICK Table-Top Glue Applicator manual, please click on the image to the left. 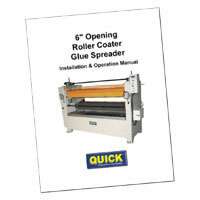 To download a PDF version of a QUICK Conveyorized Glue Applicator manual, please click on the image to the left. 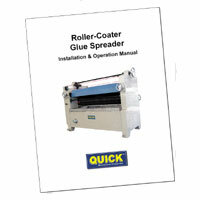 To download a PDF version of a standard 1.75" opening QUICK Roller-Coater Glue Spreader manual, please click on the image to the left. 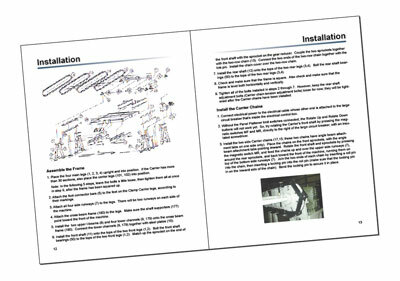 To download a PDF version of a 6" opening QUICK Roller-Coater Glue Spreader manual, please click on the image to the left.